Lero – the Irish Software Research Centre (Lero) has been selected by the European Space Agency (ESA) for the implementation of a research programme worth €400,000. The 18 month programme, which will be led by Lero Director Prof. Mike Hinchey, will commence this month. Lero will collaborate with chip manufacturer Cobham Gaisler AB of Gothenburg, Sweden on the software behind specialist microchips to be used in European space missions. 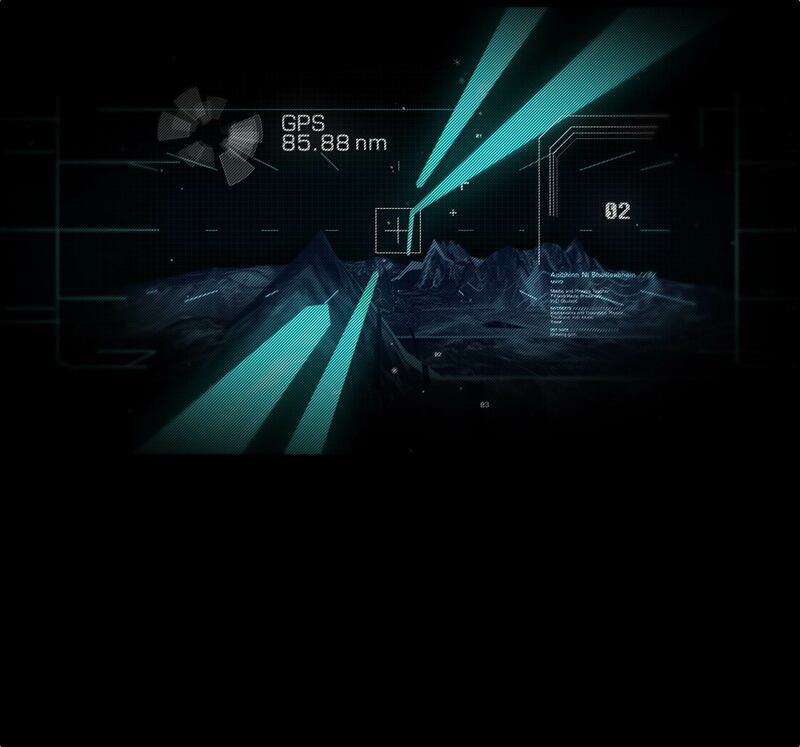 The Cobham Gaisler LEON radiation hardened microchip, which was developed in association with the European Space Agency, is designed to operate in harsh environments such as space. Lero researchers based at the University of Limerick will work on a new back end for the Open Source LLVM compiler library to enable it to be used for the LEON chip family. This is designed to expand the toolset available to developers working on the flight software for future European space missions in order to boost reliability. This is the third and largest contract awarded in recent years by the European Space Agency to Lero, which is backed by Science Foundation Ireland. Before heading up Lero, Prof. Hinchey was Director of the Software Engineering Laboratory at NASA Goddard Space Flight Centre in Greenbelt, Maryland. He remains a consultant to NASA. 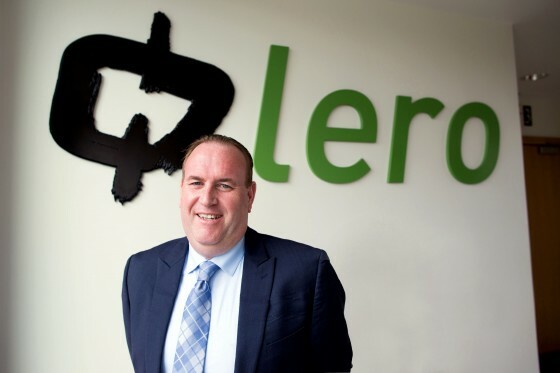 Lero (www.lero.ie) is a global leader in software engineering research. It combines the best in Irish software talent by bringing together researchers from Dublin City University, Dundalk Institute of Technology, NUI Galway, Trinity College Dublin, University College Cork, University College Dublin and University of Limerick. It is funded by Science Foundation Ireland as well as by contracts from Irish and international technology corporations. Equilume, the University College Dublin (UCD) equine technology spin-out company, has announced that it has secured €550,000 in seed funding. Equilume, which is based in Co. Kildare, has secured the funding from Enterprise Ireland and a number of angel investors based in Ireland, the UK and in the USA. The company intends to use the investment to accelerate sales of its innovative Equilume Light Mask technology within the global Thoroughbred industry to assist breeders to maximise the reproductive efficiency and performance in their horses. The Equilume Light Mask, which is manufactured entirely in Ireland, is a novel automated mobile lighting device that fits comfortably under a horse’s head collar. The Light Mask has been scientifically proven to provide the optimum level of blue light to a single eye of a mare to successfully advance her breeding season, prevent long gestations and ensure reproductive activity in early foaling mares. Thoroughbred breeders around the world are currently using the Equilume Light Mask to eliminate the requirement to maintain their non-pregnant mares indoors under artificial lighting and thereby save at least €1,000 per mare per season while at the same meeting crucial industry timelines. The technology is also being successfully used globally to help pregnant mares foal on time. The Equilume Light Mask has been developed as a result of ground breaking research carried out by Dr Barbara Murphy from UCD’s School of Agriculture and Food Science, in collaboration with Professor John Sheridan, an optoelectronics researcher in UCD’s School of Electrical, Electronic and Communications Engineering. Equilume has already won a number awards including Enterprise Ireland’s ‘One to Watch’ Award (2012); overall winner Newbridge 200 Business Start-Up Competition (2012) and a NovaUCD Start-Up Award (2011). 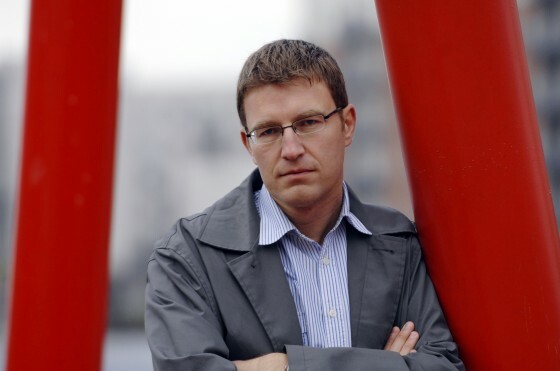 Athlone, 3rd November – Minister for Skills, Research and Innovation, Damien English TD, this evening announced Prof Barry Smyth as the Science Foundation Ireland Researcher of the Year 2014 at the SFI Science Summit, to an audience of 300 researchers in attendance. Prof Smyth, an international expert on personalization technologies and recommender systems, was recognised by his peers for his exceptional research accomplishments and contribution to the Irish scientific community over the past year. Prof Barry Smyth holds the Digital Chair of Computer Science in UCD’s Scho­­­ol of Computer Science and Informatics. He is also a co-founder of ChangingWorlds, which was acquired by Amdocs Inc, and is Chief Scientist and co-founder of HeyStaks, an Irish collaborative search analytics company. Barry Smyth holds the Digital Chair of Computer Science in UCD’s School of Computer Science and Informatics. Barry has published more than 400 scientific papers. He has received more than 20 best paper awards, the inaugural Irish Software Association Outstanding Academic Achievement of the Year Award (2012) and an Honorary Doctor of Technology degree from Robert Gordon University, Aberdeen. Barry’s research has found broad application across markets such as web services, social networking and mobile internet, leading to a number of successful patents and licences and to the foundation of two companies: ChangingWorlds (1998) and HeyStaks Technologies (2008). Barry played a leading role (as CTO and/or CSO) in these companies, which have created more than 150 jobs in Ireland. ChangingWorlds was acquired by Amdocs in 2008 for more than $60m. As the Director of the CLARITY Centre for Sensor Web Technologies, Barry helped to grow CLARITY from seed funding of €12m to more than €35m in just 4 years, with approximately 30% from industry. More recently, the INSIGHT Centre for Data Analytics was established under his leadership in 2013 with the largest ever single SFI Research Centre award of €58 million, combined with €30 million from over 30 industry collaborators. Minister for Research and Innovation, Mr Seán Sherlock, T.D. has announced €23 million in new funding to help support 40 of Ireland’s most promising young research talent to become fully independent researchers. The funding which is being awarded by Science Foundation Ireland (SFI) will help ensure that Ireland’s most talented young researchers can be encouraged to remain in Ireland, while also helping to attract excellent young researchers from other countries to base themselves here. The €23 million in funding delivered by the Department of Jobs, Enterprise and Innovation, through SFI’s Starting Investigator Research Grant (SIRG) and Career Development Award (CDA) Programmes will support researchers and post-graduate students working on projects in areas such as sustainable and renewable energy, cancer research, neurological disorders, immunology, microbiology, biotherapeutics and Wireless Networks. SFI’s Starting Investigator Research Grant (SIRG) provides support for excellent postdoctoral researchers who wish to take steps towards a fully independent research career, while the Career Development Award (CDA) aims to support early and mid-career researchers who already hold a salaried, independent research post and who are looking to expand their research activities. Both programmes aim to support the development of young researchers with the potential to become excellent, fully independent research leaders in their chosen fields. The 40 research projects awarded funding today will be funded by SFI through 12 research bodies, as follows: Trinity College Dublin (5), National University of Ireland Galway (5), Royal College of Surgeons in Ireland (4), Dublin City University (4), University College Cork (4), University of Limerick (4), National University of Ireland Maynooth (3), University College Dublin (3), National Institute for Bioprocessing Research and Training (3), Teagasc (2), Tyndall National Institute (2) and Dublin Institute for Advanced Studies (1). A further 12 projects were also deemed scientifically excellent by the International Review Panel and are on a reserve list to be funded by SFI, if budgets permit later in the year. Orla’s research focuses on microbial diversity in the gut. Microbial diversity is highest in a healthy gut and Orla’s research will investigate if it is possible to improve that diversity and in turn improve the overall health of individuals. The research will also examine whether alterations in diet and/or lifestyle can influence microbial diversity and function. Orla’s ultimate goal is to inform the potential development of nutritional supplements that can help improve human health. Stephen’s research will focus on understanding ways that cleaner and more versatile energy sources can be developed from indigenous biomass resources, including plant matter. His goal is to find ways that help ensure that Ireland imports less fossil energy by creating environmentally benign energy technologies, particularly for transportation. He hopes that his research can help achieve this by informing a deeper and predictive understanding of how indigenous biomass, in particular, can be harnessed. Patrick’s research will investigate techniques that could improve the quality of laser-powered high-precision measurement. High-precision measurements on the composition and uniformity of drugs are useful to the pharmaceutical industry to help perform quality control as drugs are developed and produced. One method to perform these measurements is by measuring light emitted from the surface of the drug when a laser pulse is focused on it. 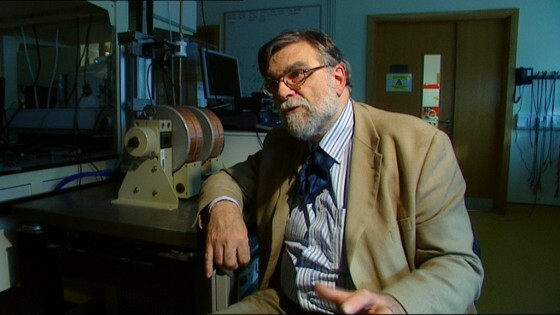 The process is known as laser-induced breakdown spectroscopy (LIBS) at short wavelengths and Patrick’s research aims to increase the efficiency of this process. The research could also have applications in other areas including archaeology and forensic science. Aoife’s research aims to explore the potential for the analysis of skin in non-invasive or minimally invasive diagnostic approaches as an alternative to more invasive blood sampling. Skin is the largest human organ and contains rich analytical information related to a wide variety of medical conditions. Pressures on healthcare systems have resulted in a greater focus on enhanced efficacy of treatments and cost reduction. As such, there is a lot of research into new diagnostics that can address these challenges. Aoife intends her research to demonstrate innovative approaches to the analysis of skin that can be used for the early detection of various conditions including eczema flare-ups, liver failure, and skin cancer. Alex’s research aims to develop new treatments to help prevent against bowel cancer in patients with colitis and Crohn’s disease. Both conditions lead to chronic inflammation of the gut, which can in turn increase the risk of bowel cancer. Alex hopes that his research can identify the ways in which this inflammation causes the growth of cancer cells and how the process can be halted through the release of important enzymes known as hydroxylases, which are blocked in chronically inflamed tissues. A team of researchers from the AMBER centre at Trinity College Dublin (TCD) are behind the discovery of a new magnetic material they claim will revolutionise the ICT sector. The material is made from an alloy of three metals, manganese, ruthenium and gallium (MRG), and is reportedly as strong as the strongest magnets available in the world today. However, it has the characteristic of not appearing magnetic at all to the untrained eye. Known technically as ‘zero-moment half metal’, the material could potentially spawn a completely new line of materials research and open up numerous possibilities for electronics and information technology. Led by Prof Michael Coey, the AMBER team said MRG has incredible potential and could lead to the possibility of limitless data storage, resulting in huge, superfast memory in personal computer devices. It could also eliminate the potential of external magnetic forces to ‘wipe’ computer data. For 25 years, researchers worldwide have grappled with how to create a magnet such as MRG by trying to arrange numerous combinations of atoms in a way which was difficult without flouting the basic principles of physics. The AMBER research team claims to have solved this problem by using established industry-standard processes for making the electronic circuits on silicon chips, making it relatively easy for MRG to be adopted by computer and electronics companies. Commenting on the discovery and its potential to lead a ‘big data revolution’, Coey said, “Magnetic materials are what make reading and storing data – either on personal devices or on large-scale servers in data centres – possible. Magnets are at the heart of every electronic device we use, from computers and laptops to tablets, smartphones and digital cameras. Eleven researchers based in Irish universities have been ranked among the world’s top 3,000 by the multinational media body Thompson Reuters. Inclusion means the person’s research is listed in the top 1 per cent for the number of times their work has been cited by other scientists. The list includes scientists and engineers in NUI Galway, Trinity College Dublin,University College Dublin, University of Limerick, University College Cork, Beaumont Hospital, Dublin and the University of Ulster. All were gauged to be “highly cited researchers” who had had an “exceptional impact”, Thompson Reuters said. Their work “has consistently been judged by peers to be of particular significance and utility”, the company said when releasing the list on the website highlycited.com. Those selected will also be published in book form, the Thompson Reuters 2014 World’s Most Influential Scientific Minds. Inclusion in this publication means the researcher is among those “who are on the cutting edge of their fields. They are performing and publishing work that their peers recognise as vital to the advancement of their science”. NUI Galway had three academics on the list: Henry Curran (engineering), Colin O’Dowd (geosciences) and Donal O’Regan (mathematics). TCD had two: Luke O’Neill (immunology and also pharmacology and toxicology) and Jonathan Coleman (materials science). UCD also had two: Colm O’Donnell (agricultural sciences) and Desmond Higgins (computer science). UL had Michael Zaworotko (chemistry), UCC had John Cryan (pharmacology and toxicology), Beaumont Hospital had Mary Cannon (psychiatry and psychology) and University of Ulster had Brendan McCormack (social sciences). The use of citation listings as a measure of research quality has sometimes been drawn into question but it remains a widely used metric despite this. Its strength lies in the fact that it reflects later access of the research by scientists working in the same area. If your paper is truly cutting edge then others will want to cite the original work within their research papers. Prof O’Neill yesterday expressed his delight at having been named on the list. “Being included in the top 1 per cent of anything is great,” he said. 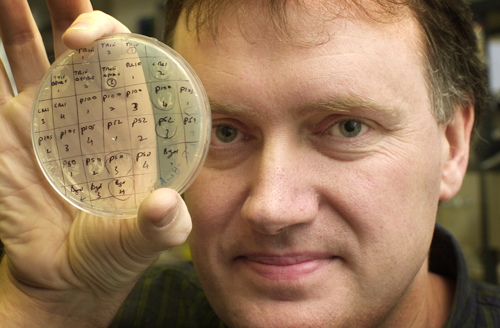 He described it as a “huge testament” to the work of his research team over the past decade. Prof Coleman also praised the students and post doctoral researchers who work with him in the lab, and thanked funding bodies including TCD and Science Foundation Ireland. “Without them this would have been impossible,” he said. Pádraic Flood, a University College Dublin (UCD) science graduate, beat off nearly 2,000 scientists from 22 countries, to be crowned the 2014 FameLab International Champion, at The Times Cheltenham Science Festival, held last week. Pádraic, who graduated from UCD in 2008 with a BSc (Hons), is currently completing a PhD in plant genetics at Wageningen University in the Netherlands. 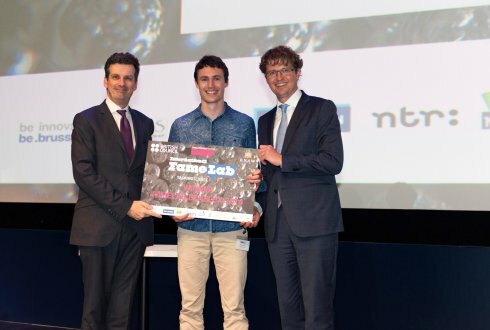 Earlier this year he won the FameLab Benelux competition and represented the trio of countries at the FameLab International finals in Cheltenham. Pádraic’s winning talk discussed improving photosynthesis to prevent food scarcity. He first took the audience into the leaf and told them about the mechanics of photosynthesis, leading to where light meets water, saying “it is at this point that light becomes life”. He then told the audience about food shortages in the future and how we might combat this through improving photosynthesis. Scientists in Trinity College Dublin have identified a new process that causes scarring in the lungs of patients with idiopathic pulmonary fibrosis (IPF). The research was led by Professor Padraic Fallon, School of Medicine, Trinity College Dublin and was an international collaboration with scientists from University College Dublin, MRC-LMB Cambridge, the University of Edinburgh, and the University of Erlangen. The study was published in the Proceedings of the National Academy of Sciences. Pulmonary fibrosis arises as a result of excessive scarring (fibrosis) of the lung tissue and is associated with shortness of breath. IPF is a progressive chronic condition for which there are very few effective therapies available and consequentially there is a poor prognosis. Despite extensive investigation, the causes underlying IPF remain unknown although it has been linked with exposure to cigarette smoke and other environmental factors such as occupational exposure to gases, chemicals and dust. It is hypothesized that chronic and repeated injury to lung cells, in particular alveolar epithelial cells, results in the release of pro-fibrotic factors such as transforming growth factor β (TGF β). These factors induce fibroblasts to release collagen that leads to scaring of the lungs tissue and thereby compromising the function of the lungs. In this new study the authors have used animal models of lung fibrosis to show an increase in expression of a cytokine, interleukin-25 (IL-25), in the lungs with the development of pulmonary fibrosis being dependent on the presence of IL-25. In addition, a new role for a novel immune cell type, the type 2 innate lymphoid cell (ILC2) previously discovered by Professor Fallon and colleagues, in the initiation of fibrosis was described. It was also shown that the ILC2, induced by IL-25, cells themselves can induce collagen deposition in the lung via the release of pro-fibrotic factors such as IL-13. 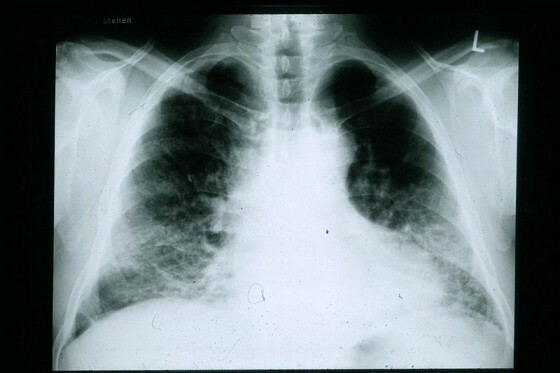 To address the relevance of these findings to human disease a cohort of patients with pulmonary fibrosis were recruited from clinical collaborators Professor Seamas Donnelly (St Vincent’s Hospital and University College Dublin), Dr Nikhil Hirani (University of Edinburgh) and Dr Ruairi Fahy (St James’s Hospital). Lung biopsies samples were recovered from patients at initial diagnosis and on follow-up visits to assess progression. High levels of IL-25 in the lungs of patients at initial IPF diagnosed were associated with disease progression. Furthermore, a population of ILC2 was also present in the lungs of IPF patients but not control patients. These discoveries open up a new perspective on how scarring develops in the lungs of people, as well as in other sites of the body, and further identifies potential avenues to develop therapies. These studies may have broader implications to human disease. Professor Fallon and Wellcome Trust funded scientist Dr Sean Saunders in collaboration with Professor Graham Ogg (University of Oxford, UK) and Dr Andrew McKenzie (LMB Cambridge, UK) also just published this month in the leading medical peer-review journal The Journal of Experimental Medicine studies that implicate ILC2 and IL-25 in the development of atopic dermatitis (eczema) in patients. The first author of the Proceedings of the National Academy of Sciences paper Dr Emily Hams from Trinity College Dublin has also recently implicated a function for these cellular responses in regulation of obesity. These new studies raise the potential for therapies targeting the initial responses that evoke aberrant inflammation that leads to a range of major human inflammatory diseases. The research was funded by Science Foundation Ireland and the National Children’s Research Centre. UCD Science Expression – Ireland’s first and only dedicated science film festival – kicks off tomorrow, Thursday 31st October. If you love science, have a soft spot for scientists and relish the innovative thinking of researchers worldwide, UCD Science Expression is for you. The 2013 edition of UCD Science Expression showcases some of the most exciting filmmaking inspired by and excavating science. From classic movies seen in a very different light to world-class features and shorts premiering at UCD Science Expression. We present screenings, events and debate for enquiring minds of all ages. Festival 2013 takes a unique journey through key themes including The Curious Mind, Land & Identity, Frontiers of Discovery and Biodiversity and Ecology in The Lighthouse, IFI, Botanic Gardens and The Ark from October 31st – November 3rd. Equilume, a new Irish equine technology company, today announced its official launch. Equilume, a University College Dublin (UCD) spin-out company supported by Enterprise Ireland, is set to become a world leader in light therapy solutions to assist global Thoroughbred breeders to maximise the reproductive efficiency and performance in their horses. The company has developed and is selling the Equilume Light Mask, a novel automated mobile lighting device, which fits comfortably under a horse’s head collar. The Mask has been scientifically proven to provide the optimum level of blue light to a single eye of a mare to successfully advance her breeding season. The universal birthday for a Thoroughbred foal (born in the northern hemisphere) is January 1st in the year in which a foal is born which contrasts with the natural foaling season of the horse which is from May to October. This crucial, industry wide, date creates a demand for Thoroughbred breeders to advance the onset of their mares’ breeding season to produce early foals, to ensure mature yearlings for sales and precocious two-year olds for racing. Horses are naturally ‘long-day’ seasonal breeders and daylight is a primary regulator of reproduction in horses. As days start to get longer in Spring, the inhibitory action of the hormone melatonin on a mare’s reproduction activity is reduced and mares come into season. Thoroughbred breeders have known about the importance of light on a mare’s reproduction cycle for decades. In order to fool a mare’s reproductive system into activating earlier than in nature, many breeders currently maintain, at a significant cost, their non-pregnant mares indoors, under artificial lighting for 8 to 10 weeks prior to the official start of the breeding season in February. However by using the Equilume Light Mask Thoroughbred breeders can now still meet crucial industry timelines and at the same time eliminate the requirement to maintain their non-pregnant mares indoors under artificial lighting and save at least €1,000 per mare per season. 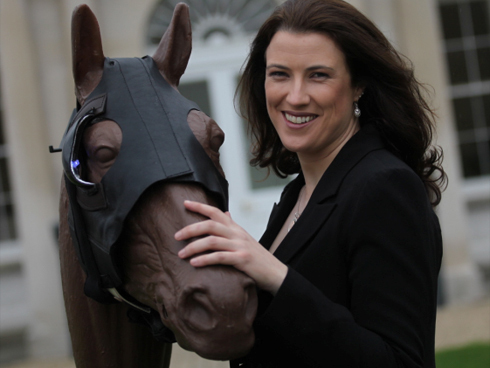 The Equilume Light Mask has been developed as a result of ground breaking research carried out by company founder, Dr Barbara Murphy, UCD School of Agriculture and Food Science in collaboration with Professor John Sheridan, an optoelectronics researcher in UCD’s School of Electrical, Electronic and Communications Engineering. It is currently not standard industry practice to maintain pregnant mares indoors under artificial lighting prior to foaling. The consequences of the lack of sufficient natural or artificial light for early foaling mares during late pregnancy are longer gestation periods, lower foal birth weights and post-foaling reproductive problems. The Equilume Light Mask can also be used to provide pregnant mares with the light stimulus required to ensure timely gestation, increased foal birth weights and reductions in post-foaling cyclicity problems which are associated with early foaling dates outside of the natural breeding season. UCD’s technology transfer team at NovaUCD facilitated the identification and protection of the intellectual property arising from Dr Murphy’s research which resulted in the development of the Equilume Light Mask. Dr Murphy was also a participant, and an award winner, on the NovaUCD 2011 Campus Company Development Programme. This Programme assists UCD academic and research entrepreneurs in bringing their innovative ideas from intellectual concepts to fully developed and sound commercial businesses. Equilume currently employs 4 people and plans to increase staff numbers to 10 by the end of 2016. The Equilume Light Mask is entirely manufactured in Ireland. Equilume has already won a number of other awards including Enterprise Ireland’s ‘One to Watch’ Award (2012) and overall winner Newbridge 200 Business Start-Up Competition (2012). Equilume made the official announcement of its launch at an event held at Killashee House Hotel, Co. Kildare attended by leading Thoroughbred breeders and veterinarians in Ireland.